COMMERCE (KABC) — Armed deputies moved in on their targets early Saturday morning, cornering two suspected robbers in their car at a gas station in Hollywood. Officers said they found a bullet-proof vest, a helmet and pepper spray inside the trunk of the car. The suspects were identified as 21-year-old Jonathan Atkins and 18-year-old Raymond Little. Both men were wanted for a string of follow-home robberies from area casinos. 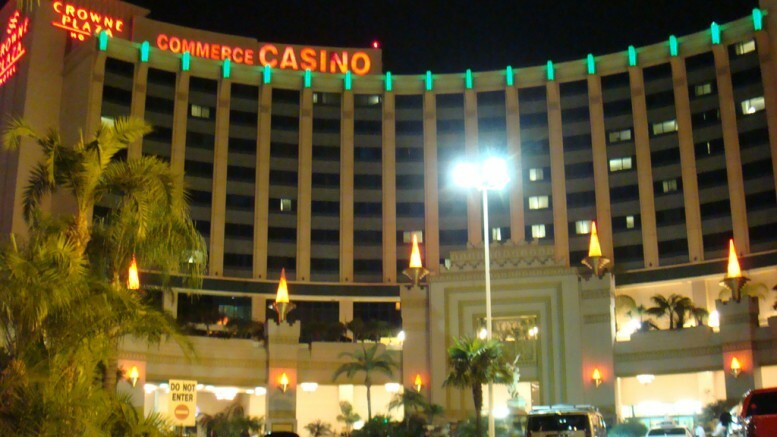 Officers say the men demanded money that the victim had won at the casino. Investigators say the case is ongoing and aren’t saying much else. However, officers said there may be more arrests. Authorities had set up surveillance in order to track down the suspects, who would watch people when money at the casino and then follow them home. Officers still say they are not sure just how many people were involved in the crimes, but wanted to shut down the operation before anyone was seriously hurt. Both men arrested are being held on $100,000 bail and are scheduled to be arraigned on Monday. Be the first to comment on "Follow Home Robbers Arrested in Hollywood"